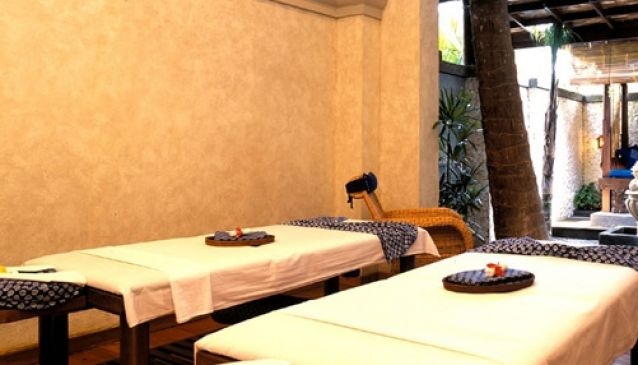 DaLa Spa at Villa de daun Kuta offers a choice of 7 treatment rooms, each one named after an exotic flower and taking on a different interior theme, colour and ambience. DaLa Spa opens from 09:00am to 09:00pm daily. Jamu of the Day (Herbal Drink) - a traditional tonic that many Indonesians consume daily to enhance personal health and beauty, made from natural ingredients such as plants, roots, leaves, bark and fruit using recipes that have been passed down through many generations. You arrive at least 15 minutes prior to your scheduled appointment, enabling staff to prepare you for your spa experience. Refrain from sunbathing, heavy eating and consuming alcoholic beverages prior to treatment as this may have an adverse effect on your spa experience. Treatment rooms cater to the needs of individuals or couples. Therapists provide you with disposable underwear, slippers, towels, shower facilities. To respect your privacy, our therapists have been trained to discreetly drape a cloth over your body during your treatment.